From here, the next part becomes a bit harder to just lift sentences from, so let me summarise as well as quote. Little looks at a few sources to describe beliefs that are central or core, intermediate or clustered beliefs, and peripheral beliefs. Some core beliefs are primal, such as how we see the world, based on parental love or lack there of, and our experiences of safety and security, as well as those understandings which form the basic building blocks of language (a table is a table). Some of these core beliefs (Do I feel lovable based on how I was treated by my parents?) aren’t necessarily fixed but may be very difficult to change. Core beliefs, including our fears and phobias, may define us, but they are not necessarily “true”. They may in fact, narrow our perspective to the point of idolatry or fanaticism. Intermediate or clustered beliefs may derive from core beliefs and the the “givens” of social norms and rules. Little says “They are the linkages between primitive beliefs and the expanding world of the growing person”. These beliefs will vary over time more than our primal or core beliefs, yet they provide structure for our thinking and acting day to day. Peripheral beliefs are either unexamined beliefs or inconsequential beliefs – things that we merely accept in the day to day running of our lives. These may be givens such as 24 hours in a day, or our sporting loyalties, thought fiercely defended, nevertheless not of ultimate consequence(!). Some theorists define core beliefs as more intrinsic to who a person is than others. To what extent do those beliefs to which we hold most tightly shape our psyche, our personality, our actions? “Beliefs” in this sense are articulations of what shapes us, a glimpse into the less visible self. Beliefs can’t contain or fully describe who we are. Do we define our beliefs or do they define us? More on this later. Thomas Green suggests that teaching is partly about the modification and formation of belief systems. He suggests that “the number of core beliefs should be minimised,” since the more core beliefs one hold, the less open one is to learning. 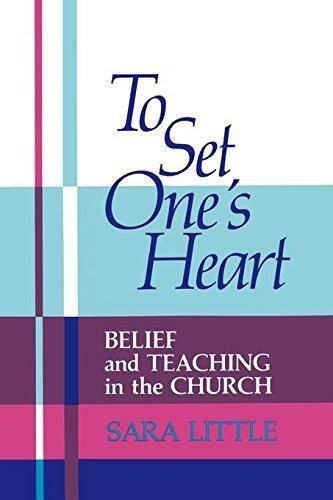 There is more to be said, and it is clear from the book that these theorists vary in their views about how we hold beliefs. Suffice to say that we are partly talking here about how we cognitively structure both our experiences and also the demands and opportunities in everyday life. This is distinct from whether such beliefs may be “true” – what matters to us is that seems true to us!